This press release just came through. It’s a sad day that Ms. Peters lost on appeal after her Small Claims Court victory over Honda. This case may be over, but there are still thousands of unhappy and angry Honda Civic Hybrid owners who haven’t given up yet. You can check Don’t Settle with Honda for future updates. United States, California, Los Angeles, May 8, 2012 – Last February a small-claims court in California ordered Honda to pay Civic Hybrid owner Heather Peters $9,867.19 for falsely advertising 50 MPG city and highway. Instead of owning up to its mistake, Honda hired a national law firm with more than 800 lawyers to appeal her win. Lawyers are not allowed in small claims court in California, but they are allowed on appeal where losses are re-tried in their entirety. Nevertheless, Judge Gray found that Honda complied with EPA and FTC regulations. Peters does not fault Judge Gray for applying a poorly-crafted consumer regulatory scheme beyond his control, but she is urging the FTC and EPA to revisit the regulations to better protect consumers. A recent settlement of class action litigation regarding the same claims raised by Peters may help other Civic Hybrid owners collect a nominal cash award and coupons towards future Honda or Acura purchases. Peters urges anyone who owned or leased a 2003-2009 Civic Hybrid to read about their rights at www.hchsettlement.com. 1,705 people who opted out of the class action settlement may possibly be able to opt back in. The Settlement Administrator is available to answer questions about the terms of the settlement and about the possibility of opting back in. Call (877) 465-4797 and press “9” to skip the recordings and speak to a human. Should I get that banana-chocolate-caramel cake for dessert? What color carpet is right for this room? Original recipe or extra-crispy? These are some daunting daily decisions I have to make and none of them are really very important. But the decisions I make behind the wheel of 4,000 pounds of German steel flying down the street matter a great deal. Like most adult drivers, piloting a car is almost automatic. My brain has assimilated all the normal driving responses into a reflexive subroutine folder, somewhere deep inside. Making a left turn used to terrify me when I first started driving; but now I don’t give it a second thought. Teenage drivers, as young as 15 ½, are faced with daily, split-second decisions that, without much experience or effective driver’s education, could lead to catastrophic consequences. This is dangerous not only for themselves, but for everyone around them. It’s a serious issue that we, as a society, don’t take too seriously. The statistics on teen traffic collisions don’t paint a pretty picture and I won’t belabor the point. Traffic crashes are the number one killer of teens and 90% of those crashes are caused by human error. Only 25% are caused by drugs and alcohol, but a whopping 75% are caused by inexperience and dangerous driving decisions – including texting and mobile phone usage. In the halcyon Brady Bunch days of the Los Angeles Unified School District, prior to Proposition 13 and long before the repeal of Glass-Steagall, our public schools offered exotic courses such Wood Shop, Drafting, Auto Shop and Driver Education. That was then. Today, you’d be hard-pressed to find any of those programs in a public school. According to Carolyn Duchene, Director of the newly-minted Mercedes-Benz Driving Academy right here in the 90048, driver education courses have disappeared from more than 80% of our public schools. The learner’s permit and licensing requirements set by the California DMV haven’t changed in decades, but the public education of our teen drivers skidded off a cliff. 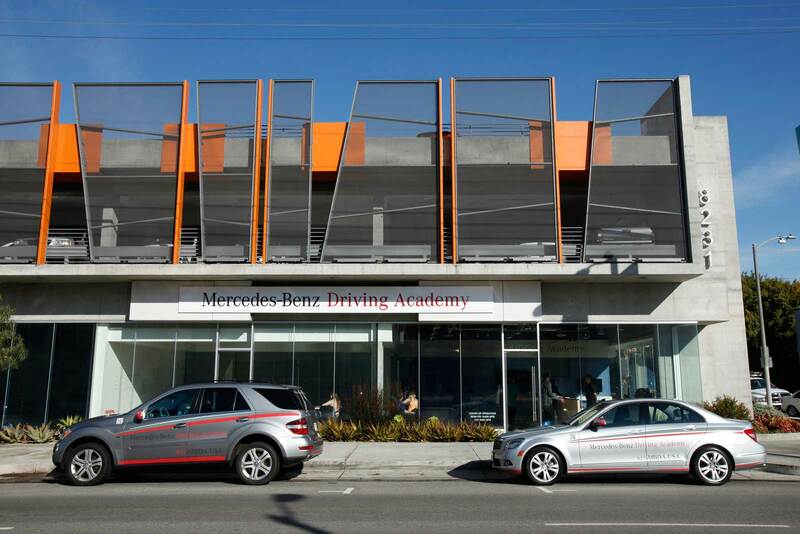 The Mercedes-Benz Driving Academy (MBDA) is no ordinary driving school. Just the fact that this is part of (not just backed by) Daimler AG and Mercedes-Benz tells you the German car company is serious about its long and storied legacy of driver safety. The Los Angeles location is only the second in the world. The first Academy opened in 2009 in the UK (at Mercedes-Benz World in Weybridge, Surrey). Obtaining a driver’s license in the UK is far harder and more comprehensive than in any State, and so far, the UK MBDA has been able to nearly double the first time passage rate from 43% to 79-82%. Impressive. Los Angeles was an obvious choice for its second Academy, says Ms. Duchene. Our car-obsessed driving culture is legendary. We have terrific weather, public transportation is less than desirable, millions of people live here and Los Angeles has worldwide recognition. It also doesn’t hurt that the Southern California market alone is in the worldwide top ten markets for Mercedes-Benz. The facility itself certainly lives up the the Mercedes-Benz brand image. 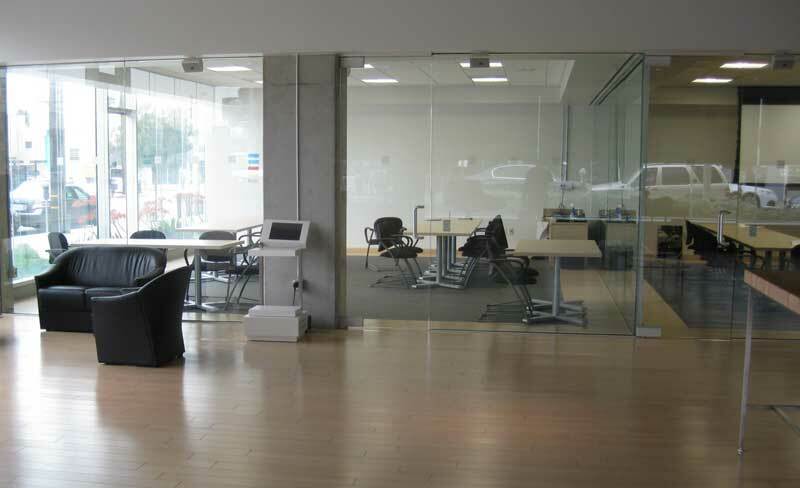 The gleaming new glass, concrete and steel building is located squarely within the TMZ at 8231 W 3rd Street at Harper Avenue; across from the trendy restaurant Toast and minutes from the Beverly Center. The spacious building has classrooms, offices, a large reception area and a two-level parking deck (there is a paucity of parking in this neighborhood). The classrooms are intimate and filled with light and transparent. White boards cover the entire background wall. But what makes the MBDA unique and valuable in our community is its forward thinking driver education courses using coaching and facilitation techniques developed after years of research. Most driving schools teach you how to pass the written and driving tests. 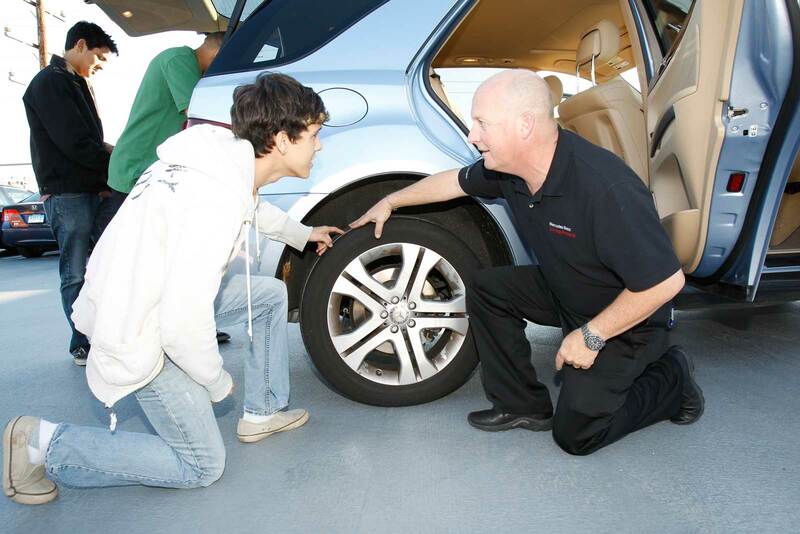 MBDA coaches teenage drivers to become safe, responsible and independent drivers capable of making the right driving decisions – and pass the license tests. Big difference. The instructors – driving coaches – are top notch, highly experienced and fully-certified. The classes are small and the driving instruction is one-on-one. Instructors pick up students at their home for the driving portions of the course. You even get to choose between a Mercedes C-Class sedan or ML-Class SUV. It sure beats the tired, worn Dodge Dart without power steering we had at Taft High School. One of the new Mercedes-Benz C-Class sedans used by the Academy. If you see it in your rear view mirror, the paint job and stripes scream "student driver." 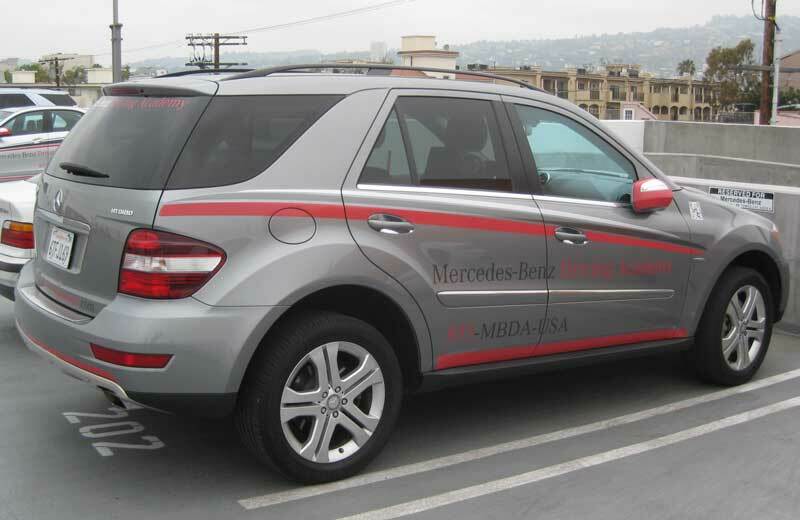 This Mercedes-Benz ML450 Hybrid is the other model used by the Academy. Nice stuff! The program also directly involves parents or guardians in the educational process. In fact, the involvement of a parent in the program is vital to helping their teenager make safer, educated, correct driving decisions, hopefully alleviating some of the traditional terror a parent feels while riding in the passenger seat. Sure, the kids don’t love having their parents around; but the person they listen to most, besides themselves, is a parent and it’s the only way they can get a driver’s license. 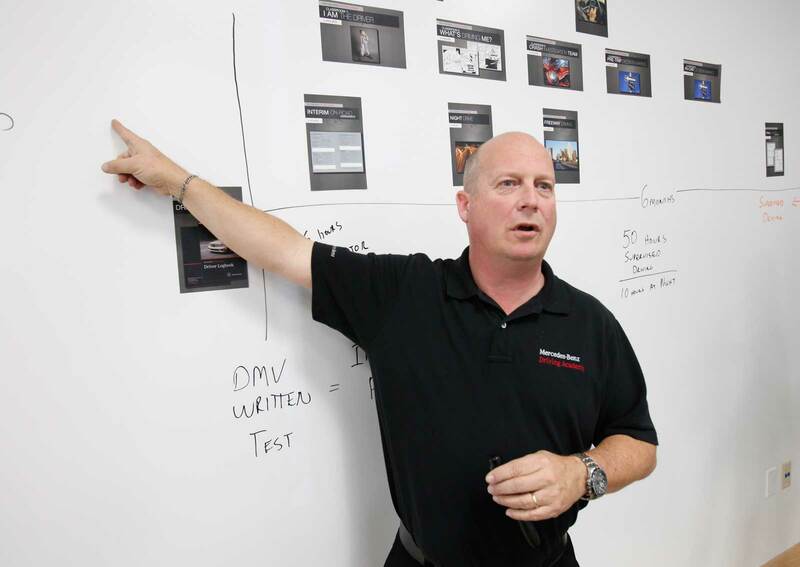 According to Driving Coach Supervisor Marc Hemsworth, the thing that most shocked him about his students is how much they already knew coming into the course. That’s right, parents, your kids have been watching YOU drive once they were old enough to stop playing video games and became interested in driving themselves. Parents set the example. Think about it. Mr. Hemsworth is not your average driving instructor. 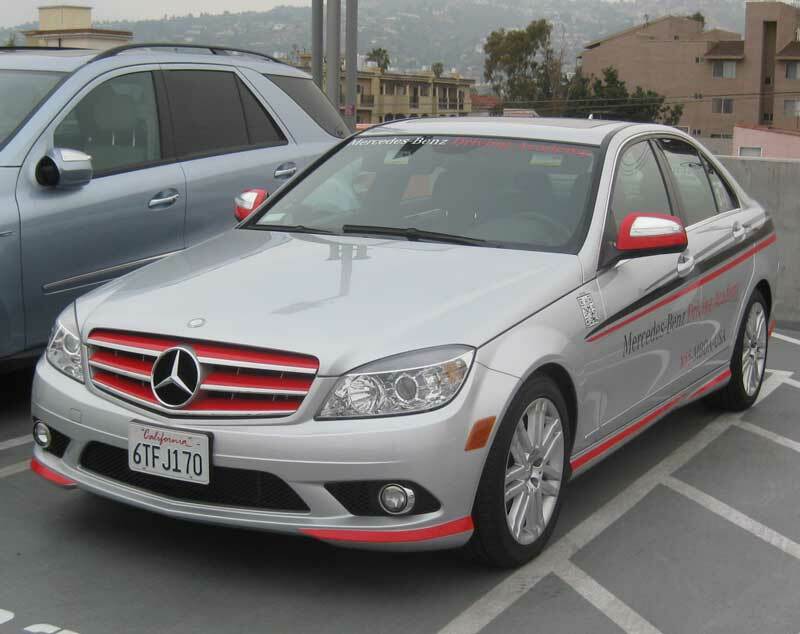 He was with the LAPD for 30 years before retiring to take this job with Mercedes-Benz. While he was with the LAPD, he was a driving instructor, fleet vehicle test driver, collision investigator and the man behind such techniques as the PIT maneuver (precision immobilization technique). What fun would a high-speed chase be if it didn’t end with the law enforcement cruiser tapping the rear corner of the suspect’s car, spinning it out of control and ending the chase? Marc’s an engaging and dynamic teacher and reason alone to consider the program. Hemsworth and his fellow coaches are laser focused on helping teens become responsible and safe drivers who make the right driving decisions automatically. The coaching method, developed in Europe, uses self-assessment (how well did I take that left turn and could I have made it better or differently?) and encourages students to ask questions. Students become their own teachers. In California, a teenager can be as young as 15 ½ to get a learner’s permit. The state mandates 30 hours of driver’s education and 6 hours professional driver training. The MBDA is certified by the DMV to perform eye and hearing exams, and issue a Student License. You’d be hard-pressed to find another school with these kinds credentials. The Academy’s flagship “Integrated Program” spans seven months and provides 16 hours of driving coaching – 10 more than the state minimum – and the full 30 hours of classroom time. In the first month leading up to the learner’s permit, the course consists of 15 hours of proprietary, self-paced, online, interactive driving theory courses that, by design, don’t work well on mobile devices. Any questions are written down in the Driver Logbook and discussed with both parents and coaches. 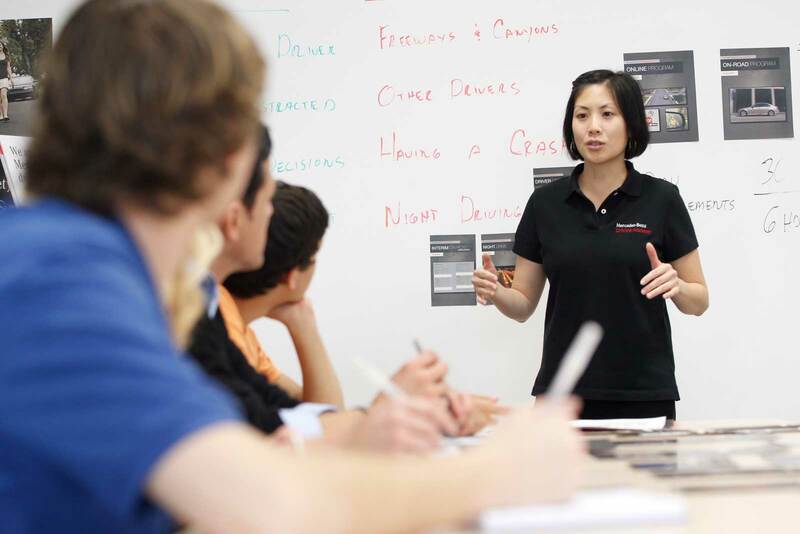 The Student License enables MBDA coaches to drive drive with the student – 8 hours – to reinforce with online material with practical application. All this prepares your teenager for the DMV’s written learner’s permit test. Once passed, and all the other DMV requirements are met, the DMV issues the Learner’s Permit and the next phase of the program begins. 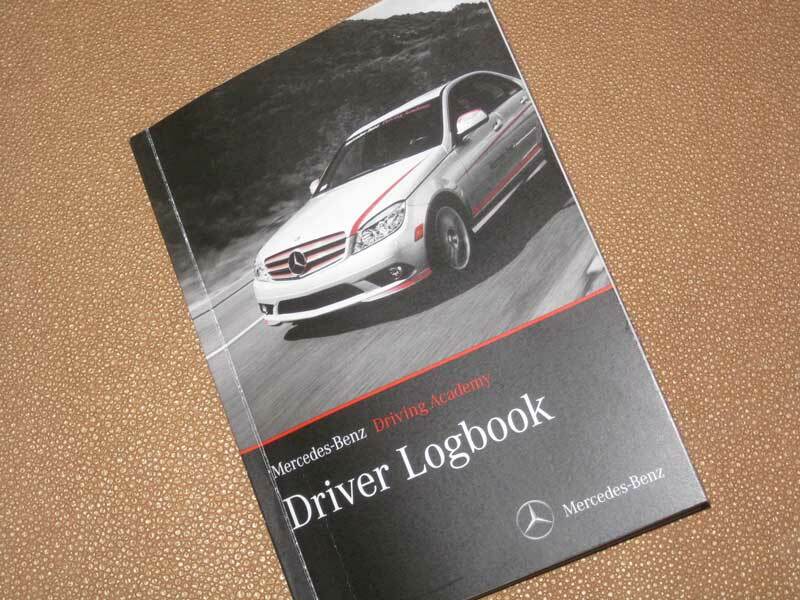 The Mercedes-Benz Driving Academy Driver Logbook. It's a simple "analog" solution to keeping track of progress and involving both parents and teenager in the supervised driving and learner's permit stage of driver education. The next 6 months of supervised driving and classroom hours must seem like an eternity to a teenager eager to drive solo – it did to me! During that period, you have to rack up at least 50 hours of driving time (10 of which have to be at night), 6 hours of behind-the-wheel professional instruction and the remaining 15 hours of classroom instruction. I was impressed that Mr. Hemsworth doesn’t subscribe to the “shock and awe” teaching method. They don’t show videos of dead bodies and mangled cars with an ominous voiceover and mind-numbing statistics. Instead, the curriculum includes a two hour crash investigation module – much more CSI than Saw II and infinitely more engaging. There are five two-hour classroom courses including topics such as pre-trip and in-car decision-making. A three hour safety workshop presents the students with sabotaged vehicles and teams sleuth-out safety defects. They even teach how to change a tire just in case there is no cell service where you car blows a tire. The last workshop is two hours on distracted driving. Parents are encouraged to ride along with some of the driving coaching sessions. It helps parents understand the coaching techniques and helps them be better coaches when they are in the passenger seat. The student’s Driver Logbook provides a clear and concise road map for parents, students and coaches to understand the progress over the entire seven month period. It keeps track of completed courses, level of skill and skills that need more attention. 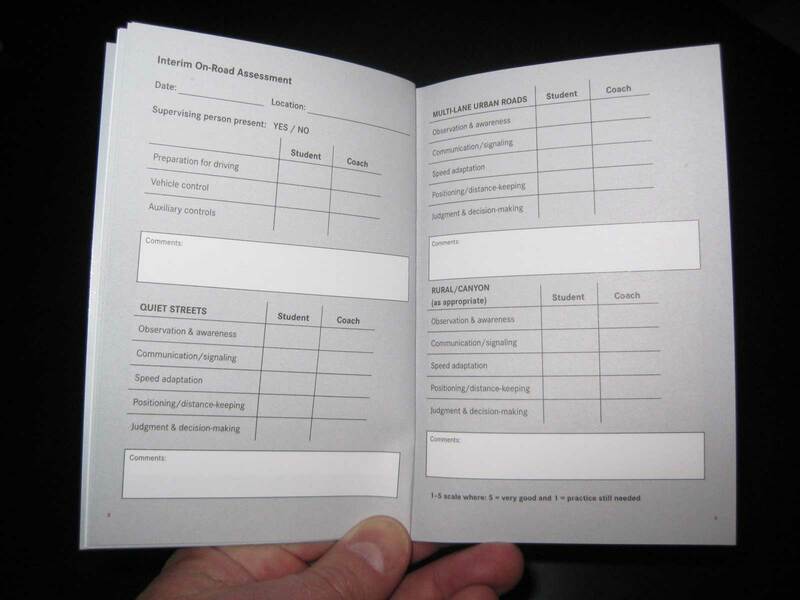 All the driving modules have both coach assessment and student self-assessment. It also tracks supervised driving time, and parents also have to sign off on driving session notes. 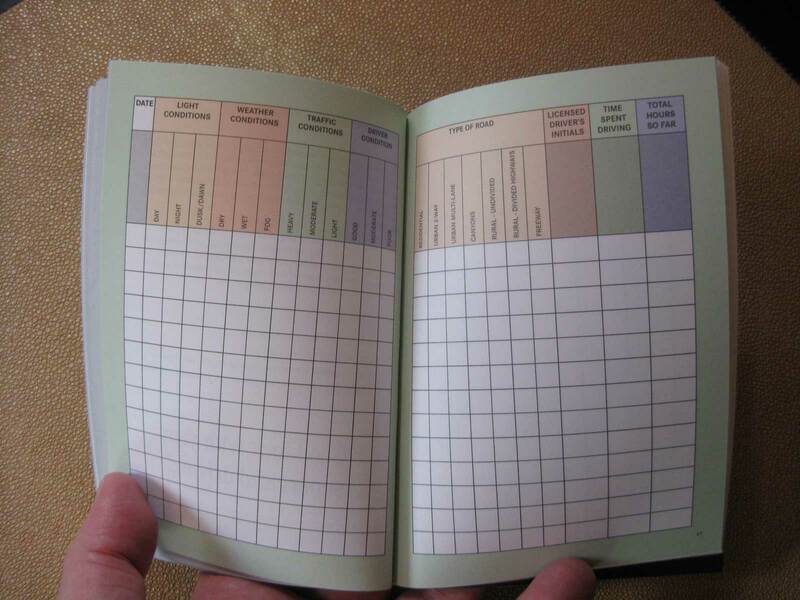 The Driver Logbook contains several pages to record supervised driving time, including the date, light condition (day, night, etc. ), weather, driver condition and type of road. The adult driver over 25 that is supervising the teen has to sign for every supervised driving trip. Another page from the Driver Logbook. 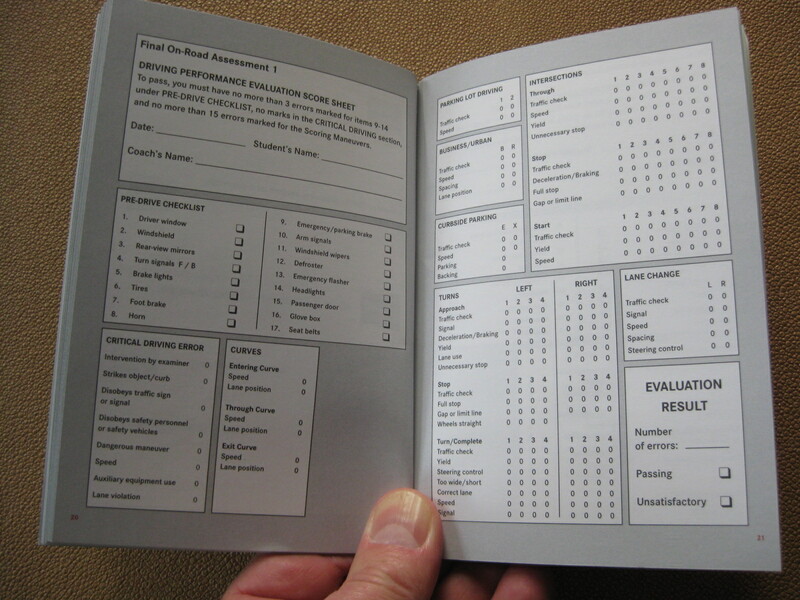 Note that all the skill sets have a box for both student and coach assessment. Around month five of the six month supervised driving period, there is a final on-road assessment. The coach puts the student through a full DVM driving test and it’s graded on the same point systems. Any problems are addressed in the remaining time of the course and a second final assessment is performed. A checklist for the Final Assessment. Are you ready to take the test at the DMV? It's as close as it gets to the test the DMV will administer, right down to the grading. The program payoff is a teenage driver much more prepared to be a safe, responsible autonomous pilot capable of making fast, automatic driving decisions – not just someone who passes the DMV’s driving tests. It’s all about the decision-making process and Hemsworth hammers it home with every lesson. Do I need to make this trip in the pouring rain or can I do it another time? This route is filled with dangerous narrow roads, is there a freeway route that is safer? Decisions, decisions, decisions. The Integrated Program costs $1,390 – about $200 per month. 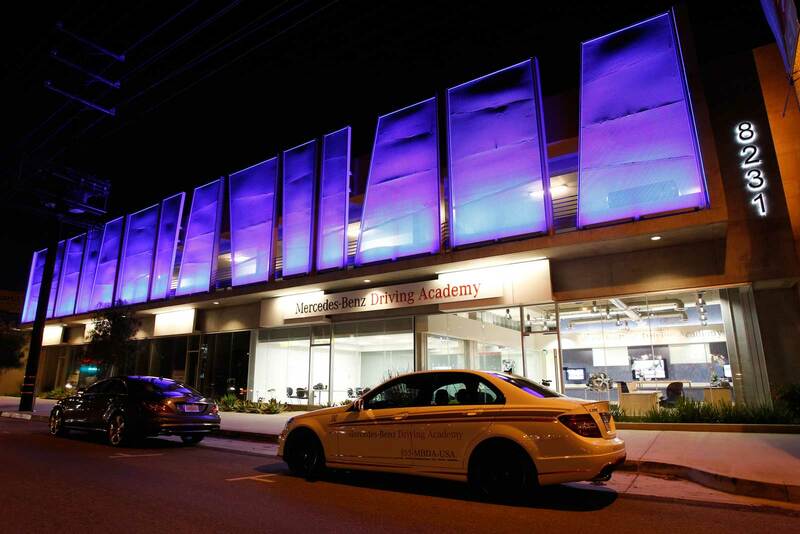 Check out the Academy, talk to the instructors, take one of their free parent-teen introductory workshops (about an hour on a Saturday) and I think you’ll agree that the program is engineered like no other driver training course. Hey, this is Mercedes-Benz, right? It’s a sound investment in your child’s safety – and your peace of mind. I know money is tight for many families, but if you can afford it, I think it’s a bargain. Choosing this program for your teenage driving-age son or daughter is never going to be a bad decision.